Old Moulton: The Queen of the Prairies. Boethel wrote that Moulton was founded before 1860 and probably sometime during the late 1850s. He also indicated that the origin of the town’s name was in doubt, with most of the early pioneers saying that the place was named for an old town in the States possibly located in Kentucky or Alabama; the latter being the most likely because it still had a town by that name. Evidently the mystery as to how the town came to be called Moulton was never really solved. In the old days there were differing opinions on the name selection. Some folks said it was named for E.L. Moulton, a pioneer settler in the area, and there were those who said it was named by a visitor who said the live oak motts were so prevalent in the region that it should be named after them – perhaps the word “mott” eventually became Moulton, no one knows for sure. Sometime before 1860, the town acquired the name “The Queen of the Prairies” because of its location in what was considered a rich prairie-land section of the county. Boethel said that the town didn’t make any great progress until 1874 when Professor M.H. Allis located his school there. “The school flourished under his excellent management and direction and won state-wide recognition for the settlement,” wrote Boethel. In 1875 the community had a church, a wagon and blacksmith shop, several stores, and an Odd Fellows Hall. This was Moulton up until the late 1880s – known today as Old Moulton. When most of the citizens left the old town for the new location, the station inherited the name, post office and business of Old Moulton. According to “The Handbook of Texas Online,” by the late 1890s the old site was pretty much abandoned – the community around the railroad station was now Moulton. Not much remains of Old Moulton these days. 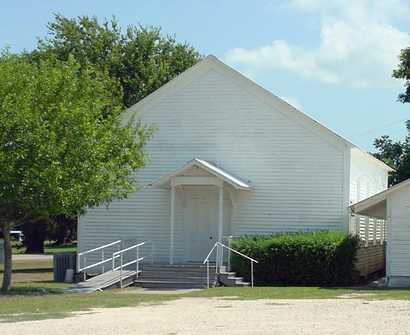 The historic Baptist church being the predominate structure which has survived the years of change. Down the road is the old cemetery, with its hallowed ground containing the remains of early pioneers – some who were involved in the Texas Revolution. 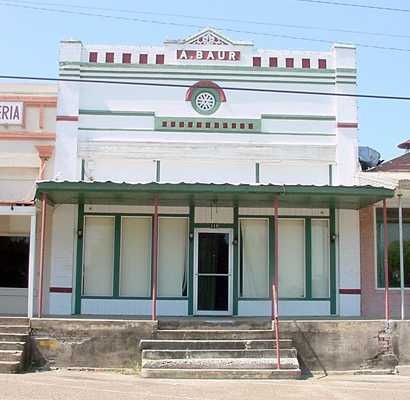 Founded in the 1850s, the place once known as “The Queen of the Prairies” is one of the oldest settlements in Lavaca County and was a noteworthy contributor to the rich history of this area.